Following are the common features available with this software. All these essential features along with user-friendly interface have made this software one of the most acceptable one. Examination & Result:Create & publish exams routines, generate results for students, progress report and academic transcript etc. SMS Services:SMS are sent to staffs, teachers, parents as per class, sections, house, special occasions etc. 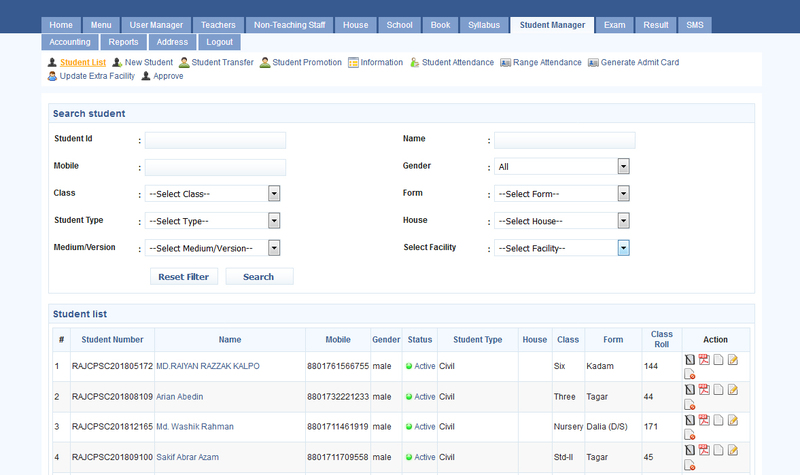 Accounts & Reporting:Head wise paid/unpaid report, attendance report, total student status report, performance report etc. 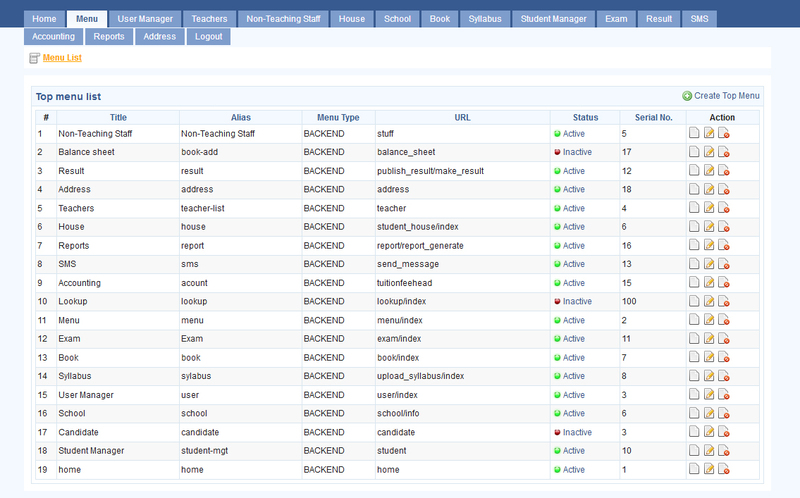 Employee Information Management:Teacher’s Info, other employee info, Recruitment Management etc.